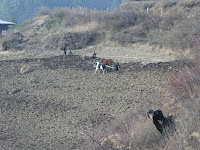 Farming in Bhutan is difficult work. Our farmers toil from dawn till dusk, in the sun and the rain, and with rudimentary tools, just to secure a basic harvest, which, at the best of times, is barely enough to feed their families through the year. Farming in Bhutan is also a notoriously risky business. Rain, drought, floods, storms, hail, insects, disease and wild animals combine to keep our farmers on edge till they have harvested and safely stored their produce. But even after that, our farmers face one more big risk: markets. There’s absolutely no guarantee that their produce will fetch the money needed to make the hard work – and the anxiety – worthwhile. That’s why, yesterday, during the National Assembly’s question hour, I asked the Agriculture Minister two related questions. One, I asked how the government would help our farmers secure more predictable prices for their produce. And two, I enquired when the government would start a crop insurance scheme. The Agriculture Minister’s answers to both the questions were inadequate. And they were insulting. To introduce my first question, I had reported that that the prices for cash crops – cardamom, mandarin oranges, apples, and potatoes, for example – are set by foreign buyers; that, as such, our farmers have absolutely no say over the price for their produce; that the prices are erratic and change every year; and that, last year, the price for potatoes fell three-fold in 7 weeks, from a high of Nu 21 per kg in October to Nu 7 per kg in late November. Staying with last year’s potato disaster, I reported that, when I visited the Phuentsholing auction yard, I saw more than 150 truckloads of potatoes. Most of them had already been there for more than a week, paying Nu 500 per truck per day in demurrage, as the yard was able to auction only 20 to 25 truckloads a day. Some farmers admitted to purposely holding on to their produce expecting the price to rise, but most others had no such intention; they just couldn’t get their potatoes to the auction yard earlier for a variety of valid reasons. So I asked the Agriculture Minister if the government could look for ways of expanding local demand for cash crops; or ways of tying up with more reliable and established Indian buyers; or ways to do business with buyers from other countries. The Agriculture Minister’s answer, which was inadequate and insulting, was that our farmers were gambling, that they were spoilt, and that the government would not spoil them any further. He also complained that when cash crops fetched good prices, farmers did not credit the government and expected even higher prices the following year. But he didn’t commit to, or for that matter comment on, doing anything to make the price of cash crops more predictable. To introduce my second question, I had recalled that, last year, just before harvest time, a terrible hailstorm wiped out a lot of the paddy in Shengana; that 150 families had lost almost their entire crop; and that Aum Dorjim had cried inconsolably on national television bemoaning her misfortune and lamenting that she wouldn’t be able to feed her family or service her loans in the coming year. I went on to report that, every year, many farmers face similar situations; we just don’t hear about them. Disasters routinely undo a whole year’s worth of hard labour, undermining the fortunes of entire families, and effectively trapping them in a vicious cycle of poverty. 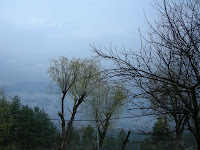 I also reported that way back in September 2008, the Royal Insurance Corporation of Bhutan and the Ministry of Agriculture had submitted a joint proposal to the government to begin a crop insurance scheme. Crop insurance is, no doubt, complicated. But it is possible. And it is necessary. It would remove much of the uncertainty and anxiety that dominate the lives of our farmers today. So I asked the Agriculture Minister, to tell us what happened to that proposal, and, if possible, to let us know when we can expect crop insurance to be launched. The Agriculture Minister’s answer, which was inadequate and insulting, was that his ministry had started a human wildlife conflict endowment fund, and that none of the members of Parliament had contributed to that fund. He totally ignored the question about crop insurance. Farming in Bhutan is a difficult and risky business. Let’s take the plight of our farmers seriously. Let’s protect them from unscrupulous syndicated foreign buyers. Let’s guarantee them fair market value for the hard work. And let’s provide some form of basic crop insurance. While traveling to Haa today, I saw several farmers planting potatoes. Some were done. Others, like this couple in Jabana, were just beginning to prepare their field. But all of them expect a good crop – the rains came just in time. Yes! It snowed in Haa. And the land is now moist. So our farmers are working their fields in earnest, preparing them to plant potatoes. Before the recent snow and rain, our farmers could not plough their fields – the earth was too hard, and much of the dry top soil would have been lost in the wind anyway. If the dry weather had continued, our farmers would have virtually lost the potato season. So our farmers are happy. But their concerns are not over. It’s threatening to snow again. And if it does snow, and snows heavily, potato planting could be further delayed. Or potatoes could, if already planted, simply freeze. Either way, our farmers would loose. Now I’m worried that it may snow heavily. Several people have told me that the quality of discussion among you, the readers of this blog, is unusually high. Your comments are educative, insightful and provide food for thought. But I am concerned that most casual readers will not see your comments, especially if they read only the main entries. And I think that some of your views are too significant, and too valuable, to leave simply as one comment. So I’ve decided to periodically post some of your comments as main entries — please let me know if this is okay. Reproducing your comments on the main page will, I hope, draw more attention to your views and encourage public debate. I’m pleased to reproduce Ap Zeko’s comment on Weathering poverty. I suspect that Ap Zeko is the one and same celebrity featured in Kuzoo. What a shame, when our farmers produce what the rest of the world covets – natural and organic food! Our economy’s strength and dynamism come from nurturing what is unique to Bhutan. That means, we must understand opportunities the world market offers, find those where we can excel, and combine the frontier of knowledge, information, and technology with our own tradition and age-old wisdom – resolutely and aggressively, in everything we do. Well, well, well! It’s easy to criticize others, including “the government”. But, changes we want will never happen unless we act, ourselves. With a little capital, combined with a lot of wisdom and cooperative spirit, managing the uncertainty of rain will be nothing to our brave famers. Let’s stop looking to the government to do something on everything. Let’s ask, “What can I do to change?” instead. Let’s dream big, like His Majesty did. Let’s start small, but start acting. That’s how all dreams come to reality. Well it didn’t snow last night. And it didn’t rain enough. But it’s still overcast. And I’m hopeful. Part of my excitement yesterday was because I was sure it would snow in my village, which, at about 2800 m, is higher than Thimphu. But it didn’t snow there either. The light drizzle was barely enough to “settle the dust” one uncle told me. He and his neighbours can’t begin to prepare their fields till enough water seeps into the parched earth. Throughout our country, most of our farmers are completely dependent on rain water. This makes farming unpredictable and unproductive. And breeds unseen poverty in our villages. It’s drizzling outside. I hope it rains. In fact I hope it snows. We need the precipitation. Our rivers have dwindled. And can barely turn the hydropower turbines that generate electricity – and revenue – for our country. But, more importantly, our farmers have not been able to cultivate their land. Without water, their land is parched and cannot be tilled; cannot be prepared to plant potatoes. If potatoes are not planted in time, the potato yield will be bad. And potatoes are the only source of money for many of our farmers. So I’m thoroughly enjoying the soft, percussive sound of the rain on my roof. But I hope it stops, as the rain turns to snow.